Sheffield United Football Club (SUFC) and its luxury hotel and conference centre holds on and offline customer databases for individual fans (season tickets, match day tickets, travel vouchers, etc), hotel visitors, gym members and businesses with corporate contacts. These databases contain basic name and address information but also valuable transactional and product information that could be analysed to profile and segment their customer base across its various divisions. SUFC wanted to gain a deeper understanding of their customers, both consumers and businesses, to drive more effective sales and marketing. 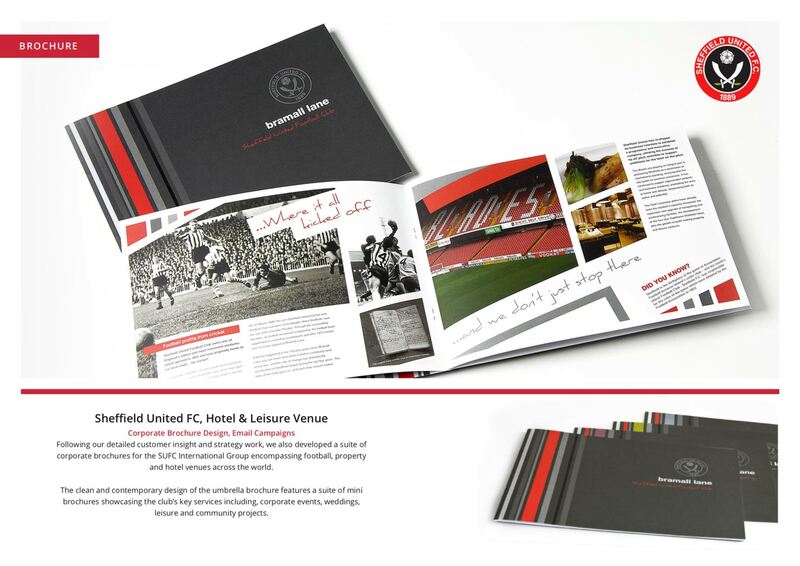 SUFC also wanted to present its wide ranging facilities in a much more professional manner via a new a range of on and offline marketing material, to create an engaging and powerful presence whilst retaining the history, culture and personality of the club. S2 cleansed and analysed SUFC’s consumer fan base (plus hotel and conference facilities) to identify commonalities in demographics, age, life-stage, hobbies, affluence etc. with patterns of behaviour, spend, frequency and member type. We provided in depth pen personas for the different segments identified within their customer base. Drive-time analysis also highlighted optimal catchment areas for season ticket holders, fans and gym members that could be used to underpin strategy for future on and offline marketing campaigns. The profiling of SUFC’s corporate database identified the types of businesses that were utilising facilities and entertainment. Company size by turnover or employee size, industry type and location were all analysed in conjunction with transactional data to identity the most profitable business types and understand the opportunity to target look-a-like companies. S2 was also commissioned to design, develop, research and execute a range of on and offline marketing material, from a new group corporate brochure to online e-campaign’s to raise the club’s profile in the local community. S2 delivered a detailed report back to SUFC outlining the key findings of our analysis which included profile summary reports, SUFC-specific pen personas of key fan types, season v season analysis, spend analysis and hotspot mapping. SUFC now understands the key characteristics, motivations and purchasing behaviours of their key customer groups. They are now able to tailor and segment their omnichannel marketing and sales activities to appeal to specific groups. They are also in a position to identify best new business opportunities from both new prospects and from their existing database. The new highly targeted email campaigns and exclusive new corporate brochure offering events, entertainment, hotel, conference and wedding facilities have also been very well received.